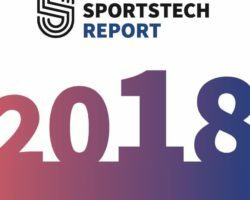 Sportcal Sponsorship has analysed over 200 soccer kit supplier deals across the top two divisions in England, France, Germany, Italy and Spain. The kit supplier, or technical partner as it is referred to by many, has developed into a crucial piece of business for top soccer clubs across Europe. The increasing competition between brands to secure top kit deals has driven up revenue for clubs and has contributed towards the commercialisation of modern soccer. Within a kit supplier deal, brands pay the clubs an annual fee for the rights to sell licensed apparel and in return receive the majority of the revenue generated by the licensed apparel sales. At the very top of the football pyramid, prices have continued to sky rocket given the intense competition between a handful of brands. 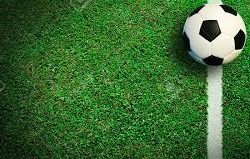 The likes of Nike, adidas and PUMA look to sign kit supplier deals with top teams to strengthen their market share in the sportswear industry and cash in on the global success of the soccer shirt industry. The Financial Services industry has a long history in terms of its relationship with sport through sponsorship. With close to a billion dollars spent on sponsorship deals between financial services firms and rights holders, Sportcal Sponsorship has examined the Financial Services sector, focusing on 30 key brands responsible for over $1tn worth of revenue. The Financial Services industry has a long history in terms of its relationship with sport through sports sponsorship. As part of a trillion-dollar industry, financial services firms have traditionally had the means to partner with the world’s biggest sporting properties. This natural affiliation has led to almost every major sporting property being associated with the financial services sector in some way. 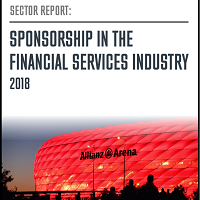 While the 2008 financial crash led to a change in regulations, ultimately impacting the way financial services companies operated, many still use sports sponsorship as a means of telling their brand story and rebuilding the trust that many lost in the sector. Using title sponsorships with the biggest sports as a means of driving name recognition to the use of brand ambassadors to present a more human face, the financial services industry has long been a key player when it comes to sports sponsorships. Her yıl merakla beklenen Deloitte’un Para Ligi Raporu’na göre en yüksek gelire sahip 20 kulübün toplam gelirleri %6 büyüyerek 7,9 milyar Euro’ya çıktı. 2017 yılında Real Madrid’i zirveden ederek tahta oturan Manchester United, 676 milyon Euro gelir ile liderlik pozisyonunu korudu. Deloitte’un, bu yıl 21’incisini yayımladığı Futbol Para Ligi raporuna göre en çok gelir elde eden 20 kulüp, gelirlerini 2016/2017 sezonunda %6 artırarak 7,9 milyar Euro kazanç sağladı. 2017’de Futbol Para Ligi’nde liderlik koltuğunu Real Madrid’den 11 sene sonra geri alan Manchester United, 676,3 milyon Euro gelir ile ilk sıradaki yerini 2018’de de korudu. Manchester United’ı, 674,6 milyon Euro ile Real Madrid izledi. Barcelona ise 648,3 milyon Euro ile üçüncü sırada yer aldı. Alman Bayern Munich dördüncü sıradaki, İngiliz Manchester City ise beşinci sıradaki yerlerini korudu. Kulüplerin 2016/17 sezonundaki gelir kaynaklarının en büyük kısmını (%45) yayın hakları oluşturdu, bunda da en büyük pay sahibi Premier League oldu. 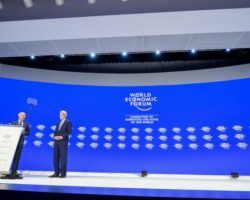 Listede, İngiltere 10 kulüp ile başı çekti. İngiliz kulüplerin toplamdaki payı 3,8 milyar Euro oldu. Listede Almanya, İspanya ve İtalya üçer takım ile boy gösterdi. Para Ligi’nde Fransa’dan tek takım ise Paris Saint-Germain oldu. Ünlü İtalyan kulübü AC Milan’ın, ilk kez Futbol Para Ligi’nde ilk 20’de kendisine sıralamada yer bulamayışı ise dikkat çekti. Daha önce Türk kulüplerinden Galatasaray ve Fenerbahçe ikişer kez ilk 20’de kendilerine yer bulmuş ve geçtiğimiz sene ilk 30’da yer almışlardı. Ancak son iki sezonda her ikisi de gelir kaybı yaşadılar. Bu nedenle 2018 sıralamasında yer almadılar. Öte yandan gelirlerini önemli düzeyde artıran Beşiktaş buna rağmen ilk 30’da kendine yer bulamadı. Welcome to the 21st edition of the Deloitte Football Money League in which the Sports Business Group of Deloitte UK profiles the highest revenue generating clubs in world football. 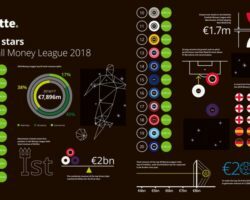 Published just eight months after the end of the 2016/17 season, the Money League is the most contemporary and reliable independent analysis of the clubs’ relative financial performance. Aggregate revenue for the top 20 Money League clubs rose 6% to €7.9 billion (£6.8 billion) in 2016/76, a new record, with the top three clubs—Manchester United, FC Barcelona, and Real Madrid—earning a combined revenue of €2 billion for the first time. Manchester United retained top spot for a second consecutive year, generating total revenue of €676m (£581m). This year’s battle for first place was the closest in Money League history, just €1.7m (£1.5m) separated Manchester United and second place Real Madrid: United’s win in the Europa League Final proving critical in the club topping our list for a tenth time. Real Madrid moved back above FC Barcelona into second place thanks to strong commercial growth in 2016/17 and a title winning season in both domestic and European competitions, with Bayern Munich and Manchester City making up the remainder of the Money League top five. A place in the top 20 now requires revenue of approximately €200m, a 16% increase on last year and double the amount required in the 2010 edition of the Money League. The English Premier League has ten teams in the top 20 this year, the highest ever from one country, with Southampton (18th) making their debut in the Money League top 20, Manchester City consolidating their place in the top five, and Leicester City rising to 14th, from 20th last year. Outside the top 20, there are four more English clubs ranked 21-30, including AFC Bournemouth who debut in 28th place. In the longer term, changes to the Champions League format from 2018/19 and the new Premier League domestic and international broadcast rights agreements commencing in 2019/20 will be key influencing factors on the membership and order of clubs in future editions of the Money League. View and download some of the key findings in our 2018 Deloitte Football Money League infographic. While mobile has quickly grown as the biggest gaming screen worldwide, its esports scene is largely lagging behind that of PC and console. 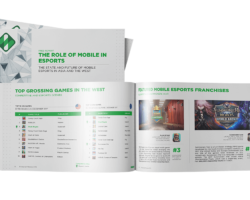 We collected insights into the state of mobile esports in Asia and the West in this free report. Over the past two years, the global esports market grew by 102% to reach $655 million in 2017. While mobile has quickly grown as the biggest gaming screen worldwide, its esports scene is largely lagging that of PC and console. In Asia, however, mobile esports is experiencing a boom, accelerated by the mobile-first culture of the region. The phenomenon is especially outstanding in China, leading with top franchises such as Tencent’s Honor of Kings and Giant Network’s Battle of Balls. In Asia, mobile esports is expected to follow a similar structure to that of PC, with the top games being played and scalable stadium events taking place with large viewership. In the West, PC is still the dominant form of gaming entertainment and is expected to remain so for the coming years. Here, mobile esports is expected to be more successful in other layers of esports, such as the amateur scene. Using data from our esports solutions, including our Global Esports Market Report, we examine the role of mobile in esports, the top performing titles, trends, and the differences between Asia and the West. If you look closely at your favourite sport nowadays, it’s hard to miss the influence of economics. It’s evident from the way players are drafted or how much they are paid, through to individual coaching decisions, and even strategic shifts across entire leagues. Economists are looking at sport and game theory to help solve fundamental economic questions. This has been particularly driven by the rise of game theory in economics. Game theory uses mathematical models to figure out optimal strategies, such as what pitches a baseball pitcher should throw, or whether American Football teams should pass more. Sport lends itself to economics and game theory because players, coaches and agents act similar to the hypothetical rational decision-makers in economic models. If you’ve seen or read Moneyball you’ll understand how economics can be used to put together a team. This is the true story of Billy Beane, the former general manager of the Oakland Athletics baseball team. Beane became famous for using economic ideas to identify undervalued players. Baseball scouts and agents often focused too much on unimportant factors like how hard someone could hit a ball. Using advanced statistics Billy Beane could identify players who were undervalued by his competitors, and play them in ways that made best use of their strengths. In basketball, Robert D. Tollison is largely behind the explosion of three point shooting in the National Basketball Association. Tollison’s research identified that even though three pointers are less accurate than other shots, over the course of a game and season it makes sense to take more three pointers. In some cases economists have been hired to solve specific problems. For instance the AFL was worried about clubs “tanking” (purposefully losing) to get favourable draft picks (not mentioning any names, Melbourne). So the AFL asked Melbourne University Economics Professor Jeff Borland to come up with an objective measure of club performance (based on team performance, win-loss ratios, previous finals appearances and injuries). 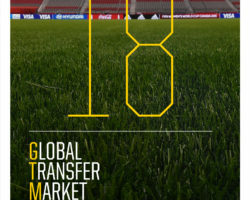 The new edition of the FIFA Global Transfer Market Report is now available for free download. The report offers an overview of global international transfer activity at professional football clubs around the world throughout 2017. 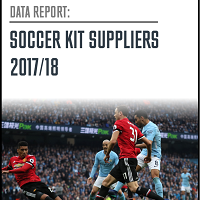 Click on the button below to go to fifatms.com and download the report for free. Turkey continues her candidacy studies for the 2024 European Football Championship and a meeting was held to launch the logo and motto at the Riva TFF Hasan Doğan National Teams Camp and Training Facilities. 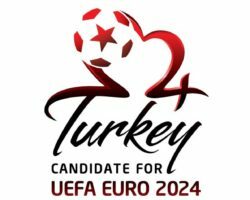 www.euro2024adayiturkiye.com, the official website of the candidacy, has been launched in English and Turkish in an effort to share with the European and Turkish public regarding all the details about the candidacy. The website also promotes the cities in Turkey EURO 2024 will be organized in and will share the candidacy with the entire world. İstanbul (Atatürk Olympic Stadium and Ali Sami Yen Sports Complex, Türk Telekom Stadium), Bursa (Metropolitan Municipality Stadium), Antalya (Antalya Stadium), Eskişehir (Eskişehir New Stadium), Gaziantep (Gaziantep Stadium), Konya (Metropolitan Municipality Stadium), Trabzon (Şenol Güneş Sports Complex), Kocaeli (New Stadium), Ankara (New Stadium).